It has been several days since Christmas and the flurry of paper and string and bows have had time to settle, candy canes have been eaten, the tree has become a tinder box, and finally I can settle down to read the books I received as gifts. I love receiving books (or money so I can purchase them on my own). I remember at a young age being thrilled to find books in my stocking; even once reading a tome in its entirety in the wee hours before waking my mother at a more civilized hour. Yes, my sister and I were quite courteous on Christmas morning! This year, without fail, I found a few books under my tree and in my stocking. My loved ones certainly know that diamonds may be a girl’s best friend but there is nothing like a book to make this girl’s heart skip a beat. So, here it is my Christmas books and with any luck I’ll be engrossed in one of these as the ball falls in Times Square to ring in 2012. (Hint: It will most likely be the P.D. James). Firstly, everyone knows my obsession with Jane Austen so it wouldn’t truly be a MERRY Christmas without a little Jane. Lady Vernon and Her Daughter by Jane Rubino and Caitlen Rubino-Bradway is a wonderful re-working of Austen’s epistolary novella Lady Susan. 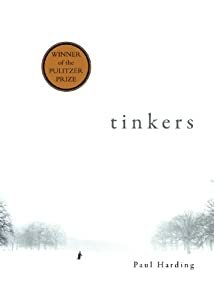 I have read this before (I borrowed it from the library) and enjoyed it so much that I recommended it to be read by my Jane Austen reading group. I suppose Santa thought I should have my own copy. I also received from a friend, who occasionally leaves offerings of books, the recently released murder mystery by P.D. 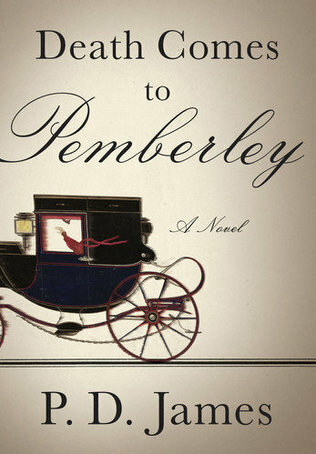 James Death Comes to Pemberley. Clearly he understands that goddesses (or undervalued administrators) need to be kept happy. Thank you so much, it is much appreciated. 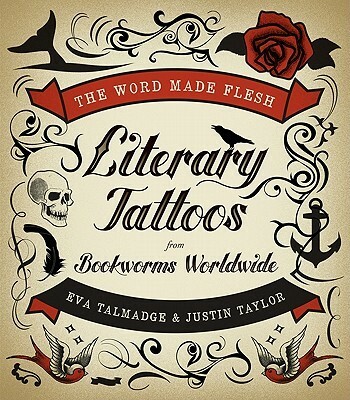 A very fun book which will have pride of place on my coffee table is The Word Made Flesh: Literary Tattoos from Bookworms Worldwide. All I have to say is WOW!! Were I to get a tattoo (read lack of bravery here) it would definitely have to be something literary inspired because I have never seen anything so cool. I also received and already finished The World of Downton Abbey. There isn’t really much to say here except the book is a wonderful companion piece to the television series. I love this book. Just turning its pages brings me much joy and happiness. My obsessions with Jane Austen and Downton Abbey are mediocre compared to that with good penmanship. I am always cursing the decline of the art of writing (with a pen and paper); for crying out loud they don’t even teach children cursive writing anymore in schools! It is an abomination. Needless to say I am obsessed with handwriting. I practiced for hours as a child and pride myself on my penmanship to this day. I insist on using fountain pens and writing (almost daily) in my Moleskine journal and handwriting notes and cards. I am quite snobbish about this so it is with great delight that I have received Script & Scribble: The Rise and Fall of Handwriting. Kitty Burns Florey is a kindred spirit in that she too professes to be a “penmanship nut”. And because a girl cannot live on books alone I will get frequent use from reading my 2012 Zagat Guide for New York City. Truly, books are the gift that keeps on giving! I have recently picked up a book that I can’t seem to embrace. Not because of the subject matter, March, an historical fiction by Geraldine Brooks, would normally be something I would be all over. It is the story of the absent father, Mr. March, of Louisa May Alcott’s Little Women and documents his experiences during the Civil War while his “little women” tend to the home fires. I will go back to it certainly but right now I have many on-going literary projects focusing on Jane Austen and I find myself preoccupied by her and repeatedly drawn into her world. This month my book club, The Petty Rebuttals, are reading Pride and Prejudice. It is my turn in the line-up, and since we collectively decided to read classics this cycle, I chose to introduce the group to Jane Austen. We are a mixed bag, evenly divided of those who have read P&P and those who have never had the pleasure. I am excited to give my insight to the group and share my love and enthusiasm for this novel (and of Jane) and only hope that I don’t overwhelm the group with my zeal. P&P is universally acknowledged (yes, that was intended) to be one of Austen’s best novels and I am currently trying to decide what of the novel I want to focus upon. Do I focus on character, storyline, class? My latest re-reading I specifically examined the characters of Elizabeth and Darcy, their imperfections and their strengths. I am intrigued how they evolve through the story and am struck by their capacity for self-awareness. Both come to terms with their pride and prejudice and become mindful of helping one another to overcome their shortcomings and give prominence to their assets. In other words, form a true partnership of like mind and heart. I think I will allow the group to take initiative though, regardless of where the discussion leads it, no doubt, will be stimulating. 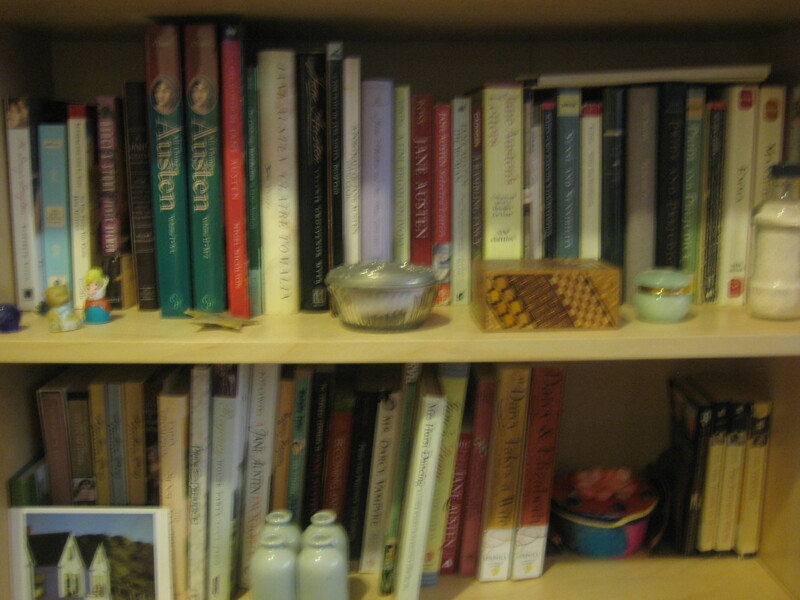 I am also preparing to lead a discussion next month for the Jane Austen Reading Society. I am thrilled to be presenting Catharine, or the Bower. 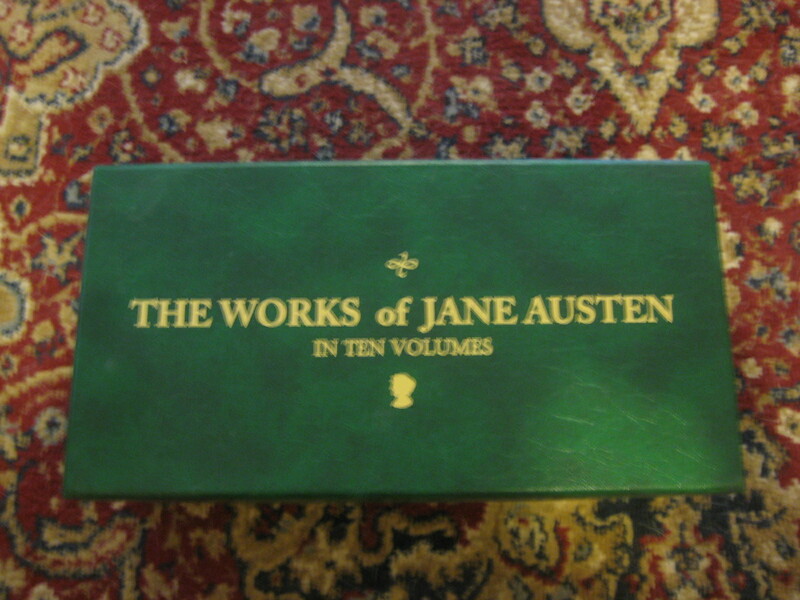 A work of Jane Austen’s Volume, The Third of her Juvenilia. A charming piece, written in 1792 when she was only 16 years old. It is an unfinished story, predominately for the gratification of her family but has enticing elements present in her more mature works. The diversity in characterization and domestic realism is already evident in this short piece; it exhibits her wit and seemingly light and playful prose but also emerging is her perceptive understanding of class, gender, social decorum, and wealth. It is an important piece still raw in its youthful vivacity but intimates a more developed novelistic approach as she attempts to move away from her earlier mocking works. 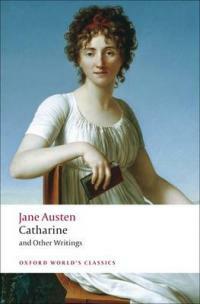 Catharine highlights the potential of the young Jane Austen’s scrutinizing eye and sardonic humor that fans know and love and appreciate. A lamentable picture of an insipid Victorian-friendly Jane Austen. She's wearing a wedding band for crying out loud!!!! I love the “rebellious, satirical, and wild” Austen! This Jane and I could be great friends unlike the virtuous, devoted, and retiring maiden Aunt popularly portrayed for nearly 200 years. Why Jane Austen? Why, indeed! I have just finished Why Jane Austen? by Rachel M. Brownstein. 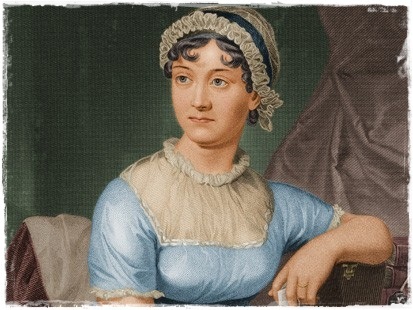 It is a scholarly book, a serious discourse that attempts to interpret why Jane Austen is considered such a great writer and why she has become such a phenomenon in this day and age. 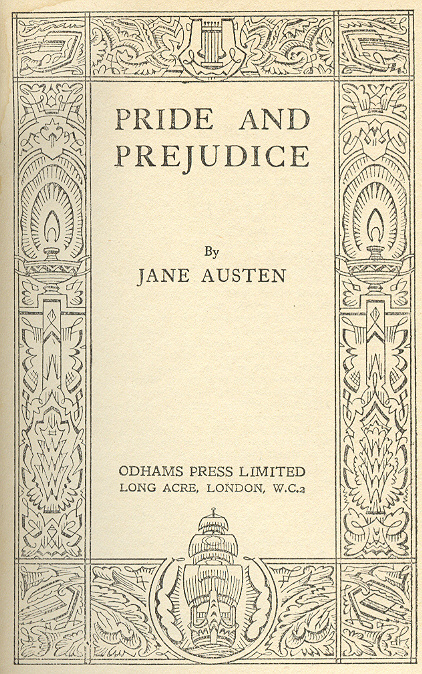 The author strives to explain and understand from many viewpoints: Jane Austen’s contemporaries, her family, the young girls who are looking for a simple courtship story, women who see early feminist messages á la Mary Wollstonecraft, white-haired ladies who ooh and aah at the neat writing of her manuscripts and letters, and the zealots who would defend, to the death, her genius. It is a well-written book; the author, a professor at Brooklyn College and the CUNY Graduate Center and who has lectured at meetings of the Jane Austen Society of North America (JASNA), knows her stuff. I enjoyed reading it but found parts of the book dry and, at times, confusing. I am wondering if my dense reading of this book is because it wasn’t what I expected. 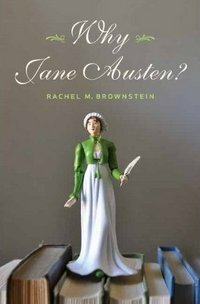 The well-known axiom, “don’t judge a book by its cover” is appropriate here as the cover picturing a Jane Austen “action figure” atop a stack of books belies its content. I thought it would be a “light, bright and sparkling” book appropriate for summer holiday reading. Beach reading it was not. No sooner had I read the last page I began to question why I love Jane Austen so much. Oddly enough, it is a tough question to answer, most likely because my outlook towards her has changed over the years. I must admit I came to her quite late. I never read Pride and Prejudice as a giddy schoolgirl; I discovered her in college. I am embarrassed to say that my introduction to Jane Austen was through the BBC production of Pride and Prejudice starring Jennifer Ehle and Colin Firth as Elizabeth and Darcy. I remember loving it as I tried to watch while being teased by a neanderthal who felt that the highly mannered society, the clothes and stately settings, and period language were pretentious. I read the book and soon after the other five novels. I fell in love. So why Jane Austen? Because I am the giddy girl seeking romance, the intellectual woman looking for discourse on the perfect novel, the feminist fighting for female independence and a break from the accepted docile rendering of womanhood, the gray-haired lady who values penmanship, civility, and manners. Jane Austen answers to all of these various parts of my personality and so much more. I’ve never been let down by her and have always been able to find a kernel of wisdom, laughter, and joy no matter my mood. Her words have uplifted my spirits, answered difficult questions, and given me an understanding of people through the behavior of her characters. She is great. It is as simple as that. Read to the end if you want to know what this entry has to do with literature…Maybe. This all begins with my watching Pioneer Woman on the Food Network. 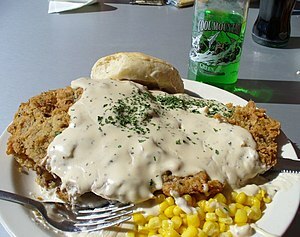 The cowboys were so cute and her recipe for Chicken-Fried Steak and Gravy made me drool. Okay, I admit so did the cute cowboys! Today I Googled “Pioneer Woman” and “Chicken-Fried Steak” and found Ree Drummond’s blog. I found my recipe. I began to read. And then I noticed that she has a tab for Homeschooling. Now I am not an advocate of homeschooling, not because I think it inappropriate or wrong, but because the people who tend to homeschool are about as annoying as vegetarians. Those I have come across (which I confess are not many (homeschoolers not vegetarians), so I do apologize now for my opinion) are preachy and tend to be holier than thou and exhibit the “I am better than you” or “I love my kids more” vibe. And truth be told, I am lazy and am a single parent with a 9 to 5 job and you just make me feel guilty. I clicked on the tab because 1) I was curious and 2) because I want to help my son do better in school. I figure where better to get home reinforcement information than from a mother who has taken on the task of teaching her children, right? So I started perusing English/Literature under the heading Homeschooling Materials with this intention and was waylaid by an entry about a grammar book. A grammar book that I now want…with a vengeance, My Grammar and I…or Should That Be Me? : How to Speak and Write It Right by Caroline Taggart and J.A. Wines. I am a militant proponent of grammar and writing and nothing peeves me more than bad grammar. I also know I probably make lots of grammatical mistakes and it irks me to no end. There is nothing more heart-wrenching than proofreading and editing one’s own words and clicking the Publish tab to only find seconds before it goes live that there is a glaring grammatical or spelling error. In my most humble opinion, the collapse of good grammar began with the advent of e-mails and text messaging (followed by tweeting and Facebook status updates). The immediacy of the medium has made us all a bit lazy and, quite frankly, I am sick of it. I yearn for the days when we took our time to write and actually used a dictionary. But I digress. Bottom line: I need this book on my shelf (next to dictionaries and style guides), for Me, for my Kid, and most importantly for my Sanity. Oh, and for my Writing too. Also, I feel I need to apologize to Homeschoolers, the well-written entries on this blog are witty, funny and informative without a hint of condescension. As for you vegetarians…well, I better get back to what I initially set out to do and discover how to help my kid love reading books and write well.